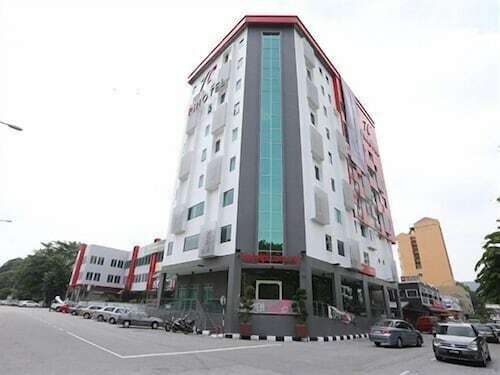 Located in Kinta, this hotel is within a 15-minute walk of Han Chin Pet Soo and Ipoh Parade. Yasmin At Kong Heng Museum and Ipoh Mural are also within 15 minutes. Along with a meeting room, this hotel has dry cleaning and a 24-hour front desk. Free WiFi in public areas and free self parking are also provided. Additionally, free newspapers and tour/ticket assistance are onsite. All 132 rooms offer free WiFi, flat-screen TVs with satellite channels, and free newspapers. Other amenities available to guests include free bottled water, ceiling fans, and hair dryers. Hotel Pi features tour/ticket assistance, complimentary newspapers in the lobby, and dry cleaning/laundry services. Public areas are equipped with complimentary wireless Internet access. Complimentary self parking is available on site. Hotel Pi has designated areas for smoking.